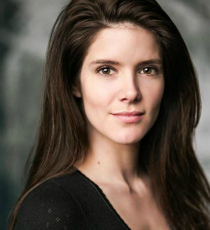 Sonya Cassidy is best known for her roles in television series Olympus, The Paradise, Channel 4’s Humans, Woman In White and Lodge 49. Her film credits include Breaking the Bank and Survivor. Also, she has appeared in plays such as The Prince of Homburg (The Donmar) and Inherit the Wind (The Old Vic).